I have some old Elvis vinyl records. How can I find out their value and then sell them? YOUR ALBUMS ARE REALLY NOT WORTH ANYTHING THEY ARE OBSOLETE. 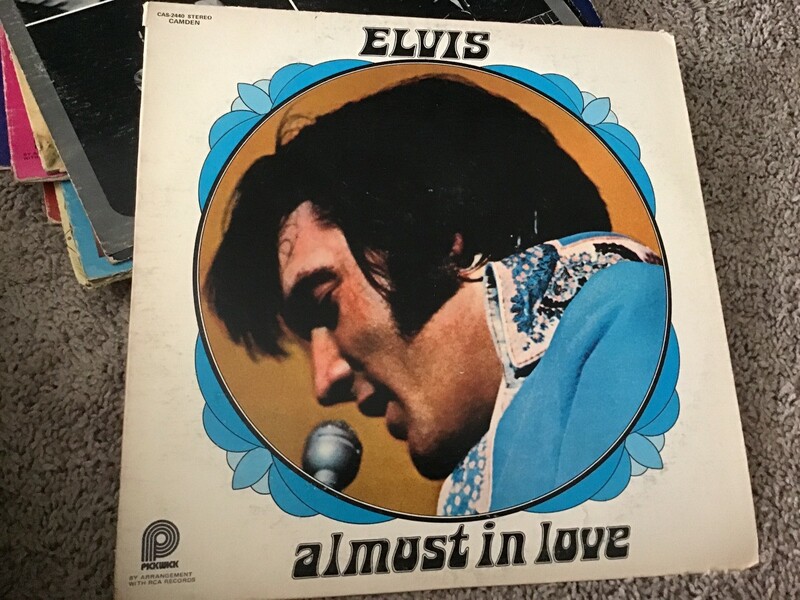 My husband and I go vinyl shopping pretty often and I would see records like this for maybe $5-10. The value is going to be determined a lot by the condition of the vinyl and the sleeve. It looks to me that they were well loved and played so the value could be decreased by that wear and tear. But if you have some rare albums, that price could be better. I would take them to a vinyl record store and see what they suggest. If you don't have one in your local area, look for one in your nearest large city. You can check online but that will only give you a ball park estimate. 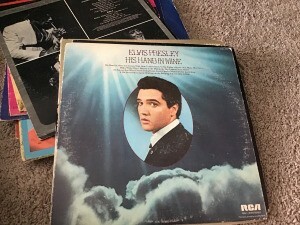 My husband added to carefully check the older ones to see if they are the original pressing. He also suggested checking each one on Discogs to see what they recommend as the value. It will be difficult to rate the condition yourself but it can give you a better ballpark. 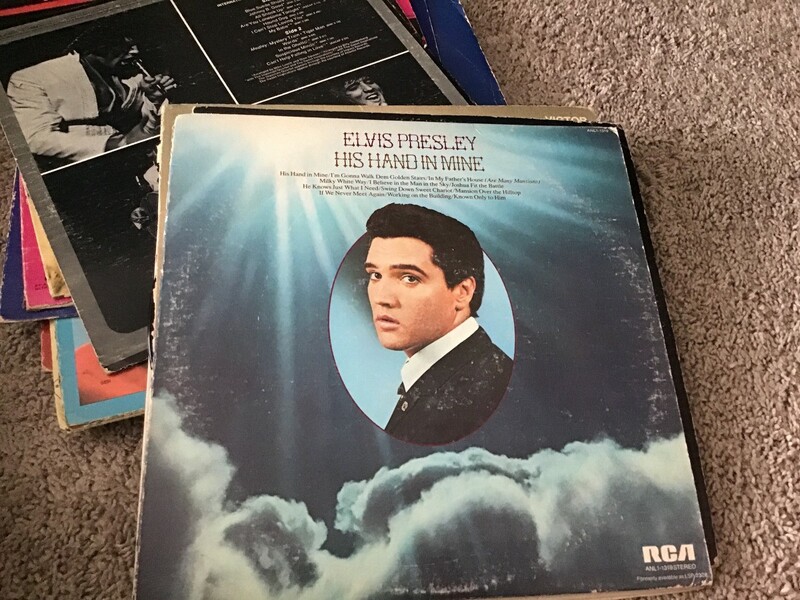 For example, the album you have on top: His Hand In Mine is listed as being worth between $1.25 and $5.25, with several being sold currently at about $1. I just put a search on eBay, you can too !! 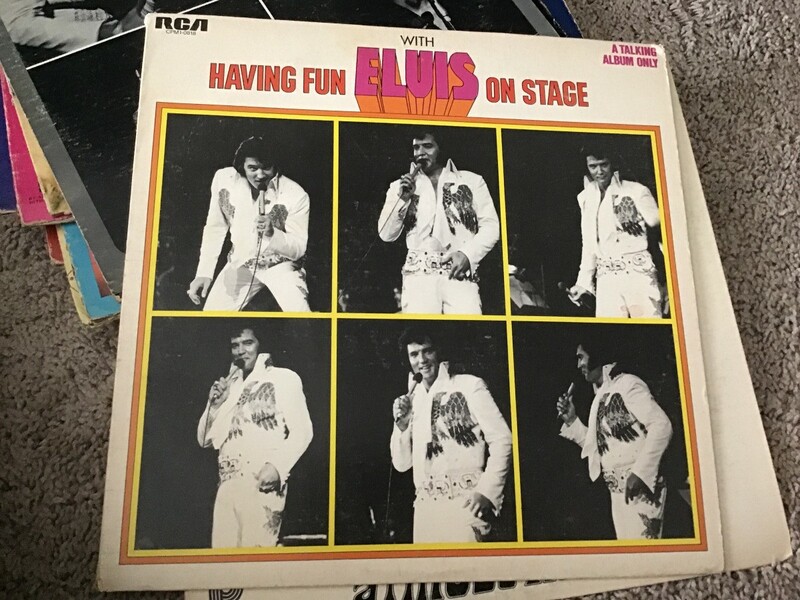 .There are hundreds of Elvis records for sale, some as low as $5.00, it has a lot to do with what song the record is playing and the condition. If you want to sell them it would be a good place to list. 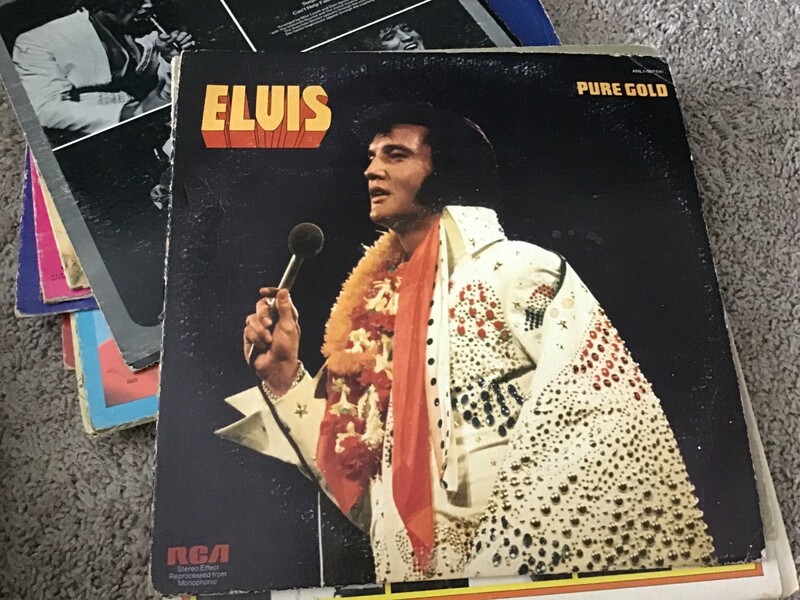 It has been said the value of LP's has gone up in the past few years but I have not found that to be true - at least not on eBay or any other popular online site. Thrift stores try to get $1 each for most but will usually sell a large box for $3-$5. I have bought boxes in the past for $2 as my son likes to search through for any he wishes to copy to personal CD or? and then give the remaining ones back to the charity store. You can do a research on eBay for each record but I did not see any of your names that show very much value. 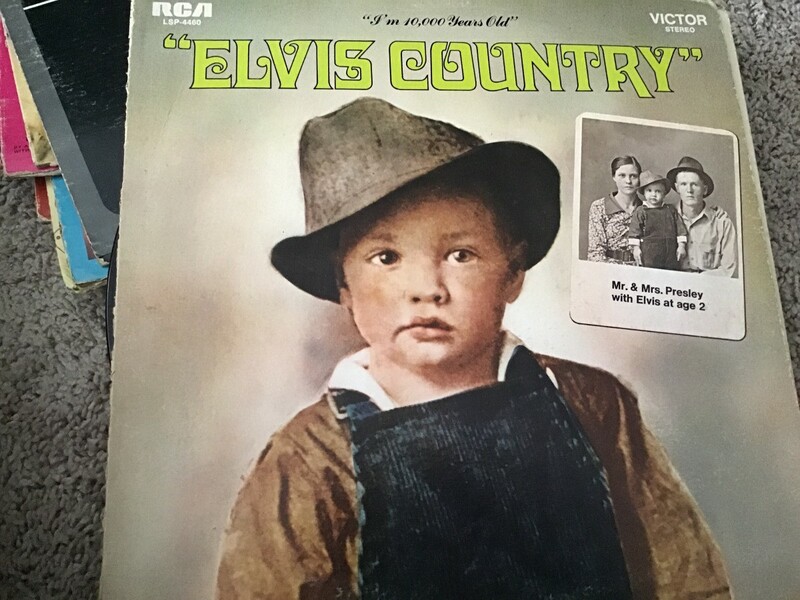 The market is glutted with Elvis and other popular artists so not many are selling and most at very low prices. Many of the sellers are probably paying the buyer to buy the records (most small sellers have no idea as to the true cost of selling and shipping on eBay). You can go to the sold listings on eBay and start with searching "lowest price" to see what people are really paying for these LP's.